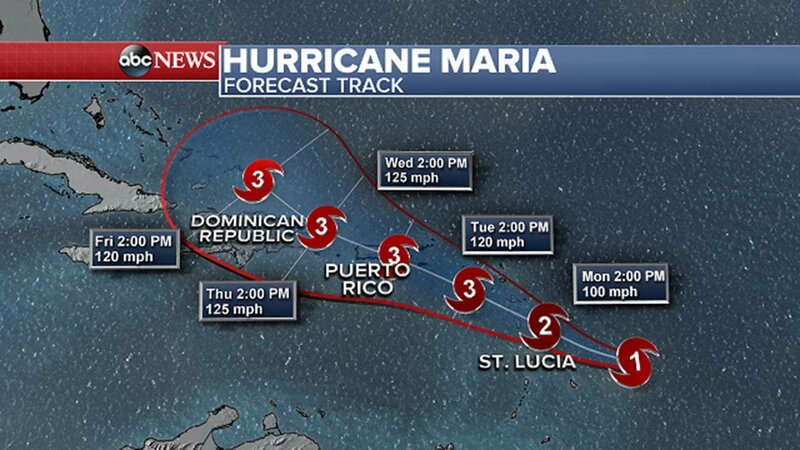 Tropical Storm Maria formed Saturday in the western Atlantic Ocean, prompting a hurricane watch for areas battered by Hurricane Irma last week. 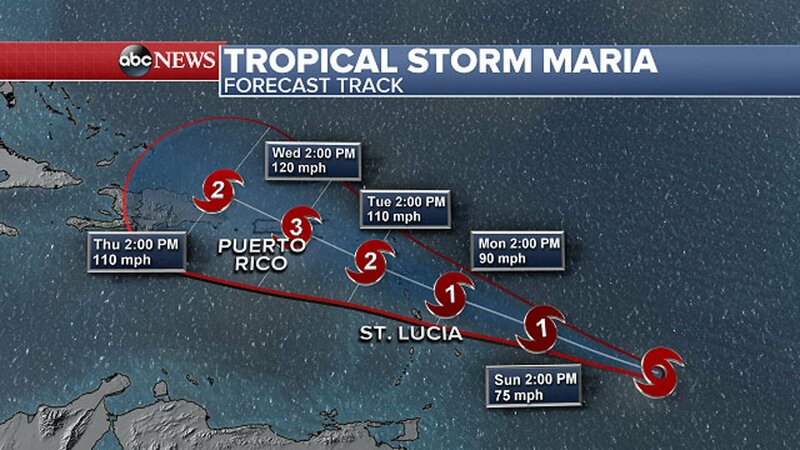 Maria is about 620 miles east-southeast of the Lesser Antilles and is packing maximum sustained winds of 50 mph. 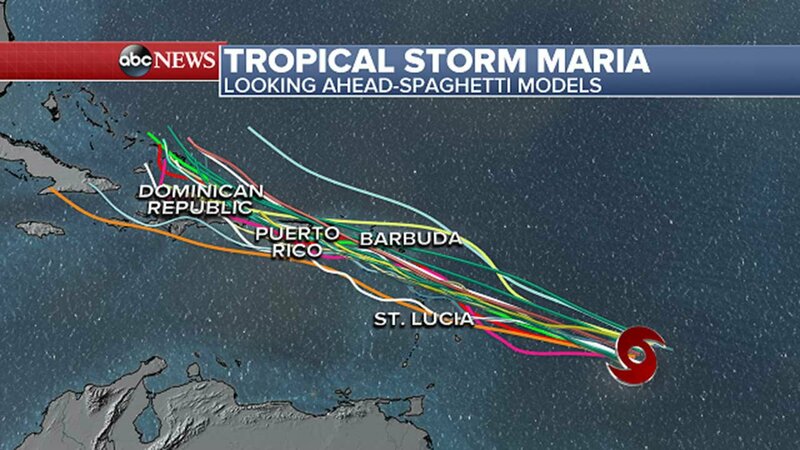 The storm is moving toward the Caribbean at 20 mph, according to the National Hurricane Center. 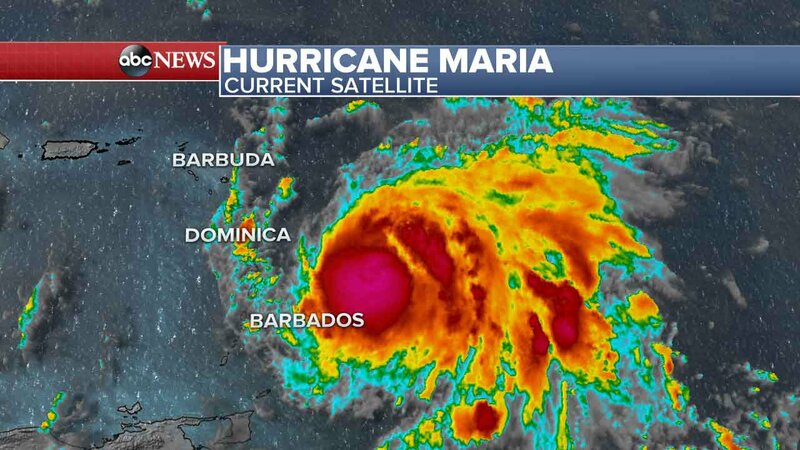 Tropical storm watches are posted for Barbados, St. Lucia, Martinique, Guadeloupe, Dominica and St. Vincent and the Grenadines. 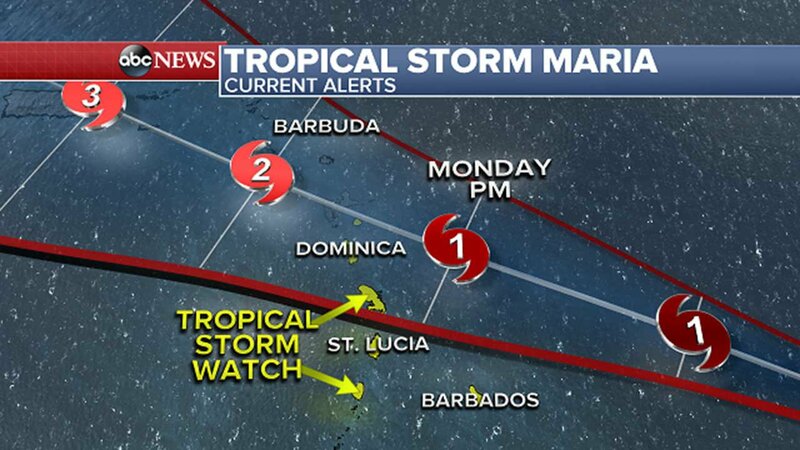 The hurricane watch covers Antigua, Barbuda, St. Kitts and Nevis and Montserrat. 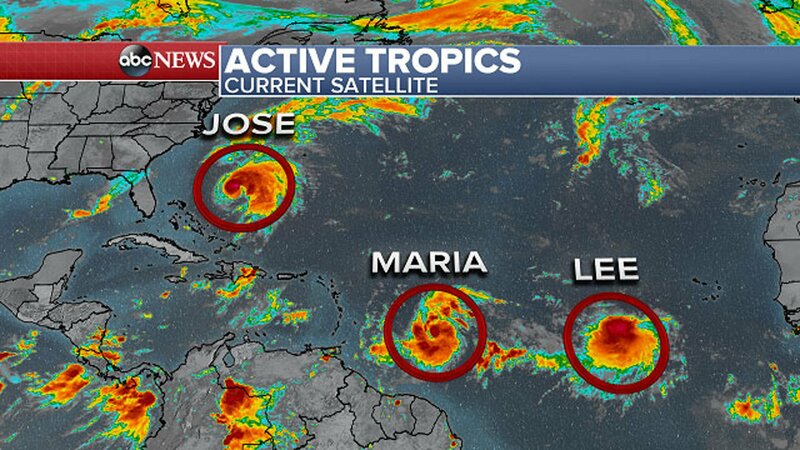 Lee is spinning about 655 miles west-southwest of Cape Verde off northwest Africa and packing maximum sustained winds of 40 mph, according to the National Hurricane Center. 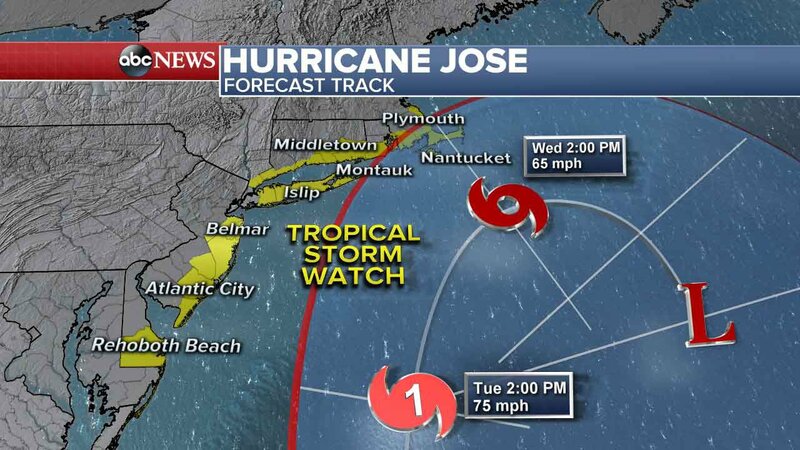 Lee isn't expected to gain much strength over the next 48 hours and will likely fade to a tropical depression by Wednesday without affecting land, the center said.